SAB Tv Indian Comedy Television Channel is ready to Launch their new Comedy Serial "Paresh Pareshan Hai" . SAB Tv ongoing show 'Yam Hai Hum' is set to pull off from television from 03rd,July,2015 . So Paresh Pareshan Hai Tv show is going to replace "Yam Hai Hum" show. The Leatest TV Serial Paresh Pareshan Hai is Produced by Optimystix Entertainment. You have seen SAB TV show "Yam Hai Hum" which is similar to Zee tv's Popular Comedy Show "Neeli Chattri Wale" and Big Magic's Tv Serial "Bal Gopal Kare Hai Dhamaal". But now SAB Tv try to attract his viewers with new Concept in this new Tv Show "Paresh Pareshan Hai" The story of the Upcoming TV Show Paresh Pareshan Hai is revolving around a man,whose name is Paresh, who spends his life in solving the problems of ghosts and souls. 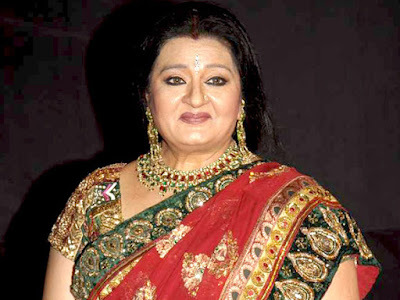 In SAB TV Serial Paresh Pareshan Hai you will see Apara Mehta as Paresh Mother. Official timings of the Show is not announced yet. Stay tuned with Us for more updates.